No foolin’ the Lagavulin’ 12 LE 2010! Somewhat spoiled by the splendor of the Lagavulin’ 16 and the Lagavulin’ Distiller’s Edition 1990, we found ourselves lookin’ down the 12 gauged neck of the Lagavulin’ LE, 2010-style. We contended with innate skepticism, too: Shouldn’t the 16 be the limited edition? Not to sound snobby and elitist—perhaps we can’t help soundin’ snobby and elitist?–but a 12 year old sounds pedestrian: the norm, the usual amount of time to age a good whisky, exceptin’ a few special cases. First impressions: Legs are splattered onto the glass like a Dexter kill room. Not an encouragin’ beginnin’. Second impressions: Why, hello there, cupcake. What’s a nice dram like you doin’ in a malt cave like this? On the nose, we looked for sherry but found instead robust peat and bacon jerky refined by a Top Chef usin’ it as another savory element of an asparagus soufflé. It was nothin’ more and nothin’ less than shootin’ down a mountain on a bacon luge through the tunnel o’ love at a state fair purveyin’ deep-fried turkey drumsticks and blowtorch singed amber cotton candy. Surely also jamón ibérico smoked over walnut tree charcoal? Or conch fritters improbably re-grilled over smolderin’ cedar pencils? Hangin’ Nova Scotian lox set on fire by former deli owners escaped from the Fishkill Correctional Facility for the Criminally Insane. Nothin’ but Burnin’ Man…the year that pranksters replaced the giant effigy with with hazelnuts shaped into a New Zealand hedgehog. Uh, if that actually happened. I wasn’t there, no one saw me, you can’t prove anything. Besides, no one noticed. Not even the hedgehog. Great on the mouth, with somethin’ of a syrupy underbelly providin’ a platform for the slowly mountin’ smoke, risin’ up to the sky in lazy circles like a hawk clutchin’ kippered shad in its talons that Mabel lacquered with lilac nail polish and sequin-y spangles. Or spangle-y sequins. The flavor beguiles the senses, but besotted, the finish leaps to prominence. Long and dry, like a camel ride in Death Valley aimin’ at findin’ the sailin’ boulders that move for no earthly reason. Very heavy, like a rendition of Mahler’s 6th Symphony employin’ a tungsten “hammer of fate.” Was it distilled with atomic heavy water, overburdened with extra neutrons? 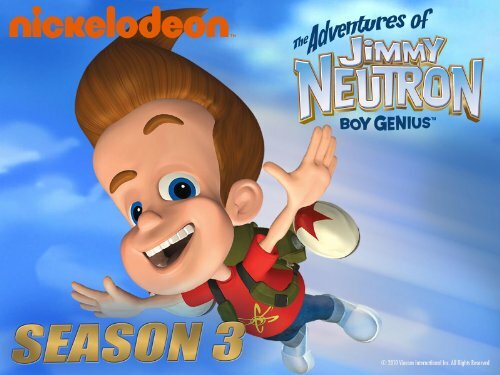 Or extra Jimmy Neutrons? Charred asparagus. [Stephen: Bill! Enough with the asparagus!] Pit-smoked endive. Sherry as a streaker before shocked audience members are turnin’ on their cell phone cameras in hope of capturin’ the spectacle. My…my…neural nets are bein’ rewoven. What is the peat ppm? (And yes, I know that that that that is redundant.) It’s like a punch in the mouth from Ladyhands. Or Lady Day. Or Doris Day. A benediction of a kind, like surfin’ outta the maw of hell into paradise. I thought scotch was more or less a givin’ thing. What the use in tryin’? When I needed sunshine I got raaaaaiinnnn…. No trace of doubt in my mind. I couldn’t Lagavulin’ if I tried.